An East Bay woman is desperate to find her beloved pet dog after the canine was stolen from her vehicle earlier this week. 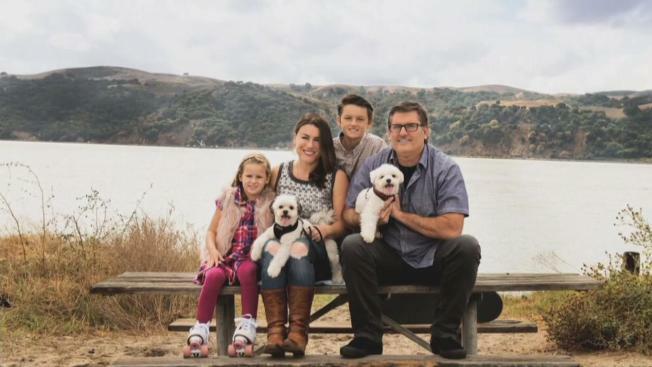 Angela Pravettoni, owner of the maltese mix named Elvis, said the dog was in his carrier next to his brother Iggy when someone broke into her minivan at Pleasant Oaks Park in Pleasant Hill while she watched her son's baseball game. Pravettoni has already passed out 1,300 fliers, hoping to find him. "I am just trying to scour the area, looking for his bag, looking for him," she said. "We’ve just been doing the best we can to make as many fliers as we can." Pravettoni rescued Elvis and Iggy last year from an abusive past owner. "Elvis just can’t be around other dogs; he will start biting me, biting Iggy," she said. Pravettoni said that’s the reason why she left both dogs inside her vehicle parked on Santa Barbara Road. She said she tried to keep her eyes on the van while she watched her son’s game. "When I got back to my car with my son, the back window was broken out," she said. "My bags and work stuff were missing, and Elvis and his whole car carrier were gone." Pravettoni believes the thief didn’t realize Iggy also was in the car and only snatched Elvis. "They’ve been through too much already," she said about the dogs. "You can see this guy only has three legs. We need him back where it is safe, with us." Pravettoni filed a police report but because she just wants her dog back, she said Elvis can even be dropped off at the Sage Emergency Vet Hospital on Monument Boulevard in Concord, no questions asked.